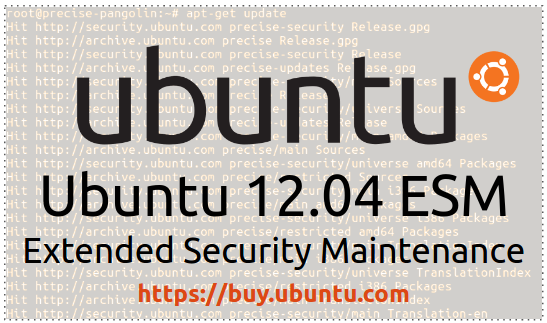 Following the end-of-life of Ubuntu 12.04 LTS, Canonical is offering Ubuntu 12.04 ESM (Extended Security Maintenance), which provides important security fixes for the kernel and the most essential user space packages in Ubuntu 12.04. These updates are delivered in a secure, private archive exclusively available to Ubuntu Advantage customers on a per-node basis. 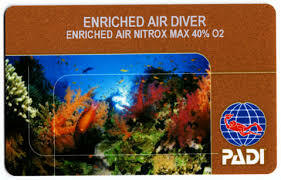 Users interested in Ubuntu 12.04 ESM updates can purchase Ubuntu Advantage at http://buy.ubuntu.com/ Credentials for the private archive will be available by the end-of-life date for Ubuntu 12.04 LTS (April 28, 2017). Questions? 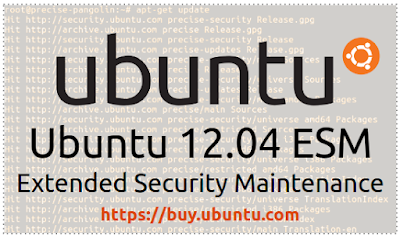 Post in the comments below and join us for a live webinar, "HOWTO: Ensure the Ongoing Security Compliance of your Ubuntu 12.04 Systems", on Wednesday, March 22nd at 4pm GMT / 12pm EDT / 9am PDT. 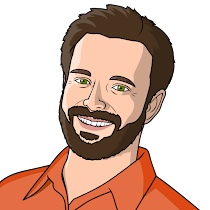 Here, we'll discuss Ubuntu 12.04 ESM and perform a few live upgrades of Ubuntu 12.04 LTS systems.